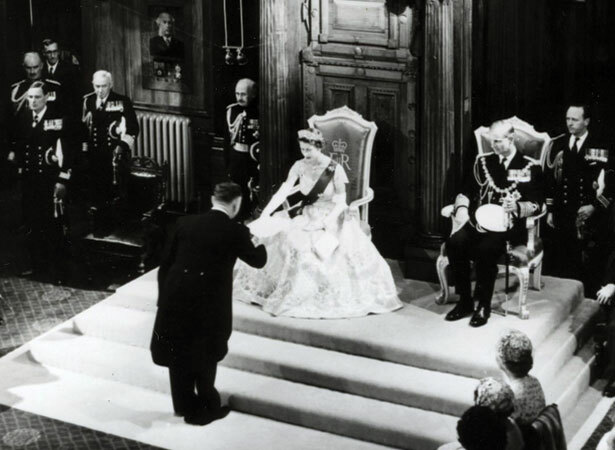 A crowd of 50,000 greeted Queen Elizabeth II, resplendent in her coronation gown, when she opened a special session of the New Zealand Parliament in its centennial year. This was the first time a reigning monarch had opened New Zealand’s Parliament. The Queen and her husband, Prince Philip, had arrived in New Zealand shortly before Christmas 1953. Throughout their tour, large and enthusiastic crowds met them at every stop. About three in every four New Zealanders saw the Queen as she visited 46 towns and cities and attended 110 functions. At Tīrau, a community of 600 people in south Waikato, a crowd of 10,000 turned up for a glimpse of the young monarch. Another notable first from this tour was Queen Elizabeth’s Christmas broadcast from Auckland. This was the first time this broadcast was made outside Britain. The Queen ended it with a message of sympathy for the people of New Zealand in the wake of the Tangiwai rail disaster of the previous night (see 24 December). We have 9 articles, related to Queen Elizabeth II opens Parliament.